Form: Rounded in youth, in old age often round topped and symmetrical. Use: Valuable, fast-growing oak. 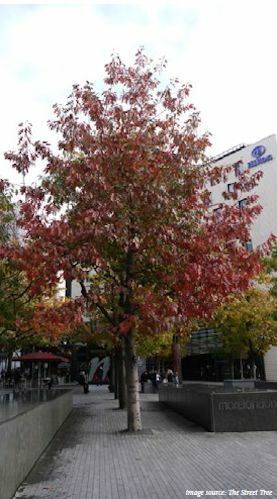 Common street tree in the Northeast area. Ridgewood Avenue & Washington Ave.